Benefice Together Worship Group This music group primarily plays at our second Sunday Worship Together service. Craig Major plays keyboards, Gareth Moseley plays drums, Ian Donald plays keyboards and bassoon and Owen Minter plays guitar. They are supported by singers Sarah Major, Christine Murray and Linda Chan. 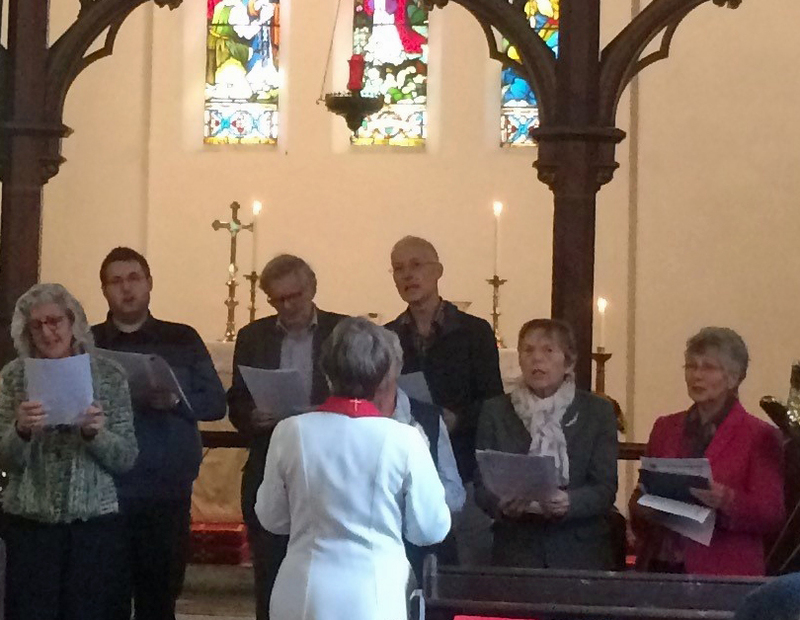 Benefice Choir Our Benefice Choir supports our fifth Sunday Benefice service and occasionally other services. If you would like to join us (no previous experience necessary! ), we would love to hear from you. Email us here. Here’s part of the choir singing at our October 2017 service. The choir will next be singing on March 31st. Click here if you’d like to be involved!